Triple filtered water, pasture raised organic chicken bones, pasture raised organic chicken feet, organic onion, organic apple cider vinegar, organic garlic, Selina brand Celtic sea salt, organic parsley. The warm, rich flavors of our organic chicken bone broth are the product of 24 hours spent slowly simmering, seasoned with organic onion, organic parsley, and organic garlic. Organic apple cider vinegar is added to add the most nutrients possible from the bone marrow, feet, and cartilage of organic chickens to our chicken bone broth. Rich in cysteine, a congestion-fighting amino acid, our organic chicken bone broth is more than a home remedy for colds and sniffles. This delicious and health-giving brew is loaded with readily bioavailable forms of calcium, magnesium, silicon, and sulfur, as well as trace minerals, glucosamine, and chondroitin sulphates. The nutritional benefits are huge, but so is the flavor. Following the traditional methods recommended by Weston A. Price, the organic chicken bones and feet are cooked gently for 24 hours with organic onions, garlic, and Celtic sea salt in non-fluoridated, triple-filtered water. Organic apple cider vinegar pulls nutrients from the organic chicken bones, feet, and cartilage into the bone broth. Finally, organic parsley is added for the extra minerals to finish this delightful, just-like-homemade chicken bone broth. 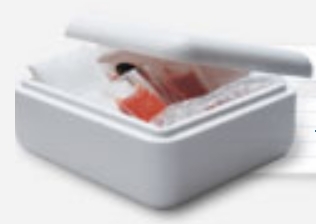 When ready, the bone broth is immediately cooled and frozen in BPA-free packs. No plastic utensils are used, so there's no risk of any chemicals leaching into this delicious organic stock. That’s it! Real bone broth - the way it's been made for centuries. Use this delicious bone broth as a base for soups, casseroles, and sauces - it's ready to use, but can also be easily stored in your freezer. No need to shop for the ingredients, leave the broth simmering all day, or to clean up afterwards - an excellent choice for those who seek optimal nutrition through organic chicken bone broth, but are short on time! Looking for a morning pick me up? Try drinkingi bone broth instead of coffee or tea. The nutrients it contains will keep you going strong all day. For the holidays, or to keep the family eating healthy year-round, consider buying in bulk. 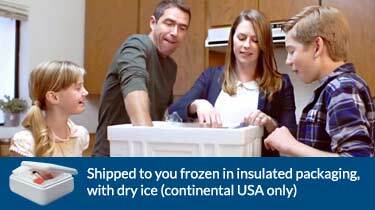 Share with friends and family, store extra quanitities in your freezer, and never worry about running out! California’s Bonafide Provisions Makes Our Organic Broth. "Our Certified Organic broth is handcrafted in small batches. We start by using triple filtered water. 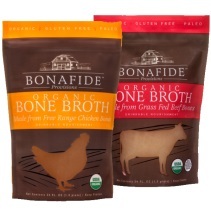 Adding pastured certified organic chicken bones-including the feet-which are particularly rich in gelatin... Our broth simply tastes amazing and the ingredients we use are the finest, organic ingredients on the market." Made from the bones of free range chickens whose supplemental feed may have contained organic wheat and/or organic soy.